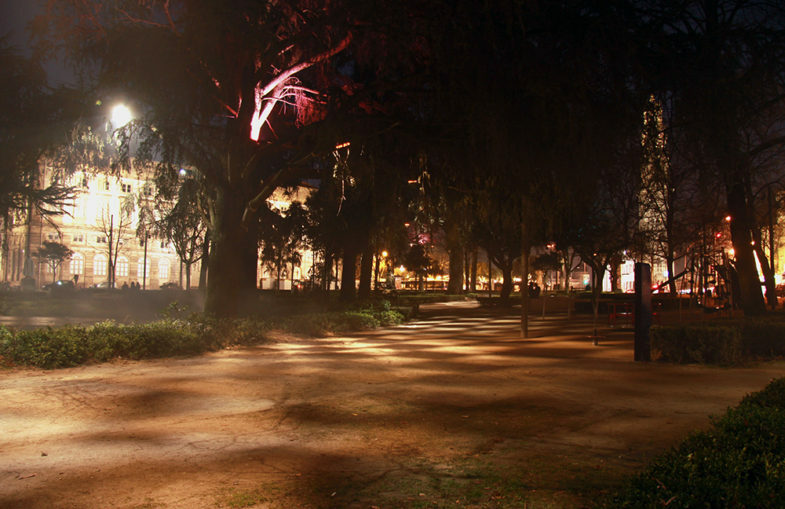 Kaleidotree is an immersive light installation, presented at Cordoaria garden in Porto, integrated in the celebrations of 20th anniversary of the Historic Centre of Porto as a UNESCO World Heritage site. 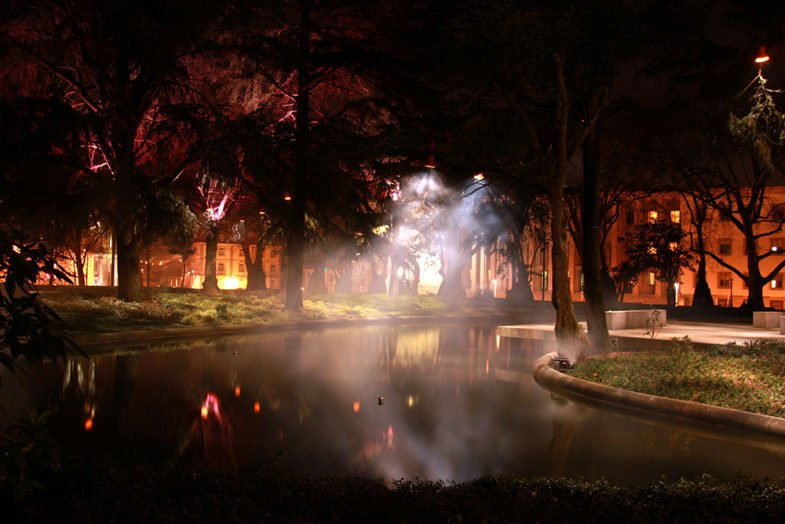 Kaleidotree uses a series of custom made lamps placed in the trees, containing a set of mirrors which emit light through kaleidoscope effect. The lights are programmed with different sequences, giving this way life and dynamism to the garden, expressing the tree breathing through the pulse of light. 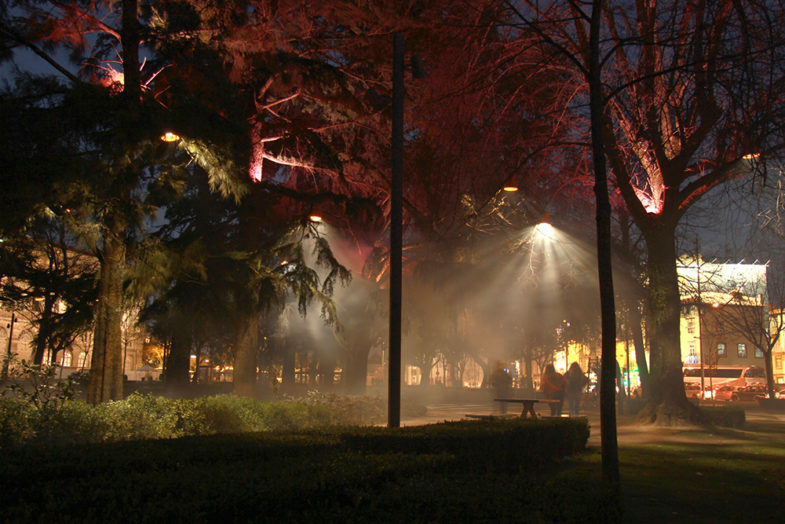 During the day the lamps resembles to a fruit from an alternative reality world, during the night the lights light up and visitors are transported to magic forest, from a fantasy world.